These superfood bites are packed with antioxidants and will keep you full when you are on the go. Dates are a natural sweetener containing fiber, pistachios offer protein and vitamin B6 for brain power, and the matcha powder will give you that needed boost of energy. Snack on these bites for an afternoon pick me up! 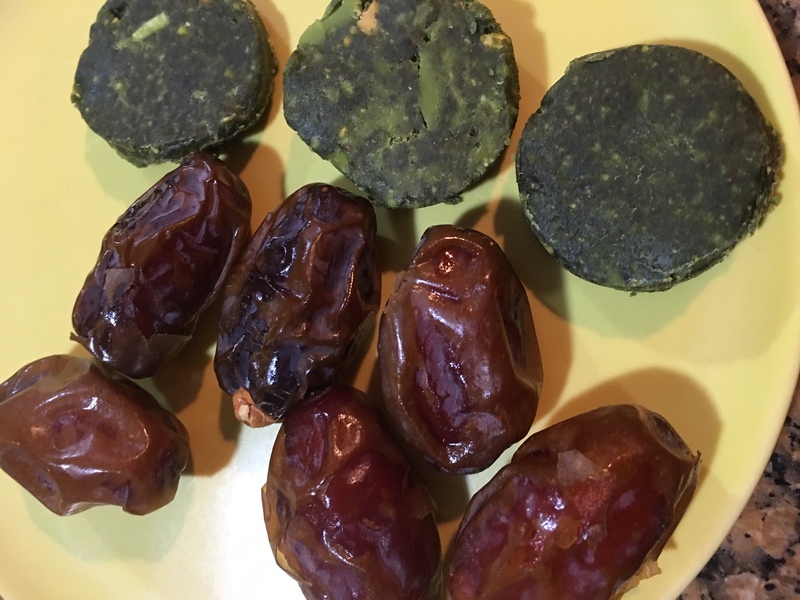 A simple and quick recipe for nutritious energy bites that will come in handy between meals! Grab these instead of those packaged bars from the grocery store. Add all ingredients to a food processor, or blender, and mix until smooth. Spread the mixture on a plate or lined baking sheet and freeze for 30 minutes. After the mixture has set, cut into desired shape. Remember to soak your dates before using them. Soak in either cold or warm water just long enough to remove the pits by hand. These ingredients include antioxidants, healthy fats, protein, nutrients to support brain health, and fiber - this combination will keep you full and give you sustained energy. Spirulina is a blue-green algae full of vitamins, minerals, protein, and antioxidants. Store the powder in an airtight container in the refrigerator. Add to other energy bites and smoothies.